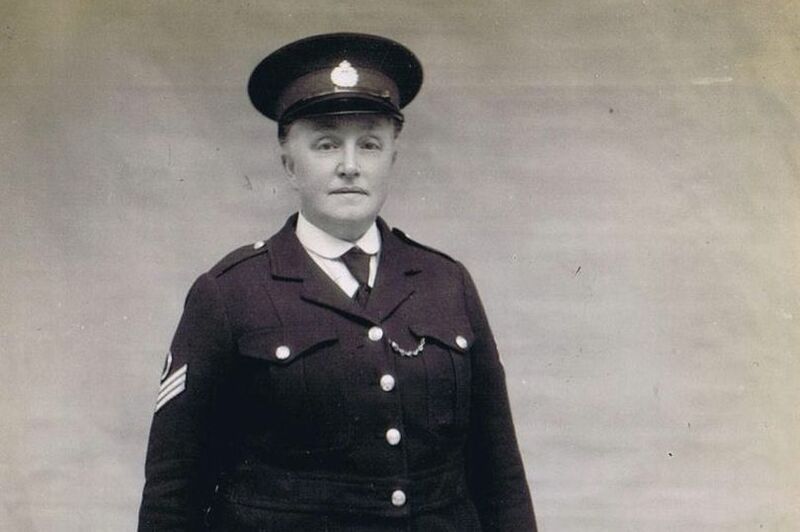 Evelyn Miles was one of the first police women in England, taking up the uniform after her troubled husband was dispatched to Handsworth Asylum. An unwed mother at 18, the housekeeper to a doctor, the wife of a police sergeant suffering from mental illness – my reading of her character is that she was an empathetic person, drawn to Birmingham’s coal face of poverty and social deprivation, like Dorothy Peto after her (also featured in Ghosts of the Lock Up). With no template or notion of social services, the justice system was society’s last net for lost souls, deeply flawed, maybe, but with a burgeoning complement of compassionate women coming through in the early Twentieth Century, to bring some sense of social responsibility towards those who had been abandoned by society, and lost their way. I loved it that Evelyn was in her fifties when she embarked on her new life (hope for us all) and still holds the record for the oldest serving female officer in the West Midlands aged 77 when she retired. You can meet Evelyn and many other fascinating characters in BEHIND BARS: Ghosts of the Lock-Up 19th – 21st October. Welcome to our website. We are working playwrights who aim to create more opportunities and new platforms for our work in the Midlands and beyond, including partnerships with Birmingham Repertory Theatre and site-specific venues e.g. WMP Heritage at Steelhouse Lane Lock Up. 'Thoughtful, intelligent, sensitive, witty and engaging. My kind of theatre'. Ola Animashawun (Euphoric Ink & the National Theatre). To email us, click here! Enter your email address to follow BOLDtext Playwrights and receive notifications of new posts by email.